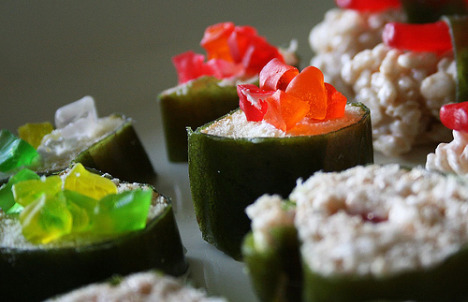 So I read about these rice krispie sushi, and I think it’s absolutely brilliant. I’m thinking baby showers and children’s birthday parties – how much fun would it be to make? Check out the original blog post on this – gives some of the details, but I’ve copied the pictures from Coochicoos below. 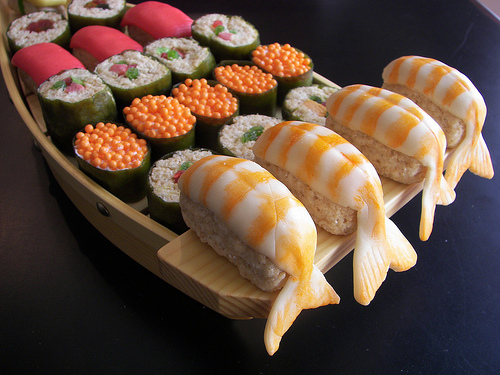 This entry was posted in General and tagged Food, Fun. Bookmark the permalink.